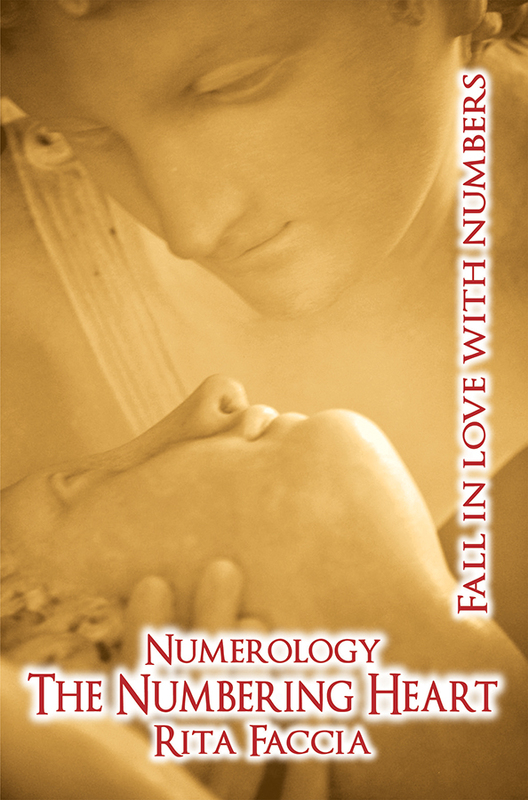 "THE NUMBERING HEART - FALL IN LOVE WITH NUMBERS"
“The Numbering Heart” is a journey through the tricky paths of Love. Starting from Symposium, Plato’s famous dialogue, through Pythagorean Numerology, it explores and examines relational Harmony, and the various aspects of the Sentimental and Interpersonal Affinity. According to Plato, a fervent follower of the Pythagorean teaching, everything is originated from the divine One, the source of Universal Harmony who with his endless love gave birth to creation. This Harmony follows a precise order, based on the law of Numbers, which also stand at the base of our Individual Birth Code. The Date of Birth is our Personal Time: it enters into the Cycle of Universal Time and identifies “The Journey of Our Life”. Our Name and Surname represent our Expression and are characterized by a number as well. “The Numbering Heart” leads you to discover the 7 Main Numbers inside your Birth Code, in order to know yourself and the points of contact with your partner, your friends, your colleagues, etc. In his Symposium, Plato describes several types of love: love as sacrifice, passionate love, faithful love, universal love, love as a search for the original half, predestined love, and immortal love. For each of these subjects, “The Numbering Heart” analyses the “Couple Affinity” and the birth numbers of famous figures such as Anita Garibaldi, Oscar Wilde, Nils Abel, Alan Turing, Giuseppe Verdi, Rudolf Nureyev, and many others. These examples will allow the reader to discover his own nine-year cycles and challenges, becoming the architect of his own life path instead of an unaware background actor. Rita Maria Faccia has been dealing with Pythagorean Numerology for several years. She studies and explores the Numerological relationships between Us and everything around us, in order to achieve complete Self-knowledge. She wrote many articles on the subject. She discloses the secrets of this ancient discipline in courses, lectures, and conferences. 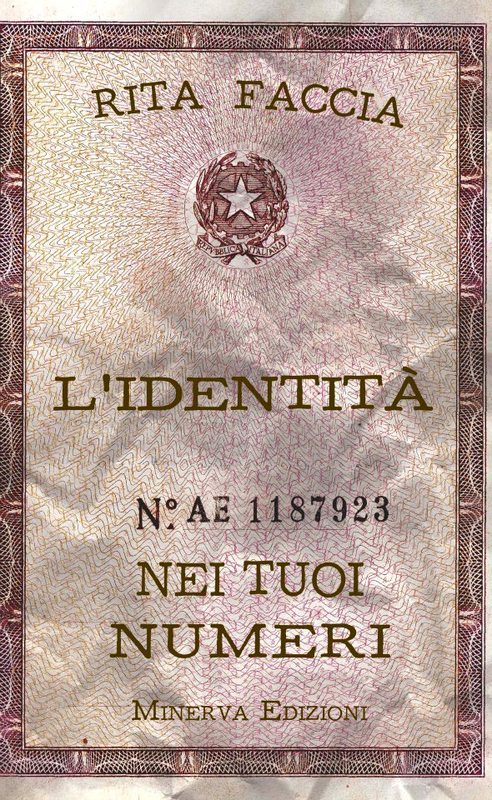 “L’Identità nei tuoi Numeri”, Minerva Ediz. 2009. “Anima Numerante”, Anima Edizioni 2012. 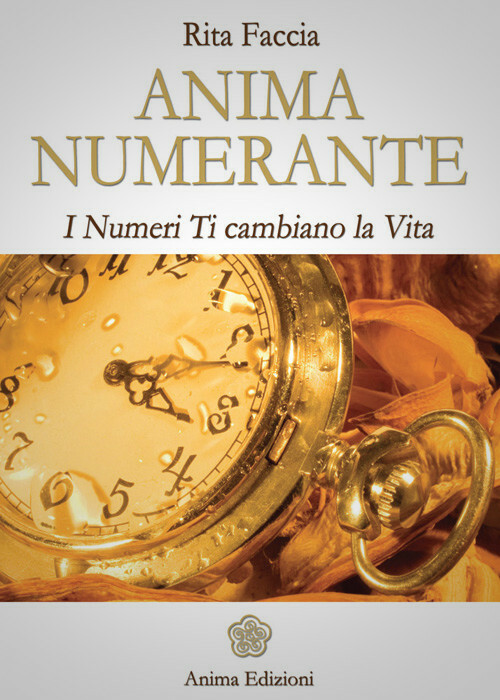 "ANIMA NUMERANTE I NUMERI TI CAMBIANO LA VITA"
“The Numbering Soul: Numbers can Change your Life” (2012 – second book). We live in a world of numbers, we ourselves are potential numbers, and these numbers talk to us and warn us with their messages; for example, in this book you will find out the meaning of the recurring numbers in your life. This Numerology book is perfect for: teenagers who want to choose the school they would be most suited for; young people starting their first job; adults who want to change their career path; people who are moving abroad (since numbers affect places with their universal vibrations); those who want to find a pseudonym, and, last but not least, for all those people who want to improve their life in accord with the numerological moment they are living in. Even our age is made of numbers that can reveal important stages of our life and lucky decades. Knowing my personal numbers has changed my life, has made me aware and enlightened me as to what my life purpose is: now I wish nothing more than to pass on the benefits and inner strength numbers can give to other people. Anima Numerante stems from Plato, who took inspiration from Pythagoras, and is a journey through numbers, with the discovery of our personal times of realisation and our turning points as a destination. Our task in life is to develop our own identity, know our individual purpose, the mission we must undertake in the grand scheme of things. Everything is linked to numbers, from our full name to the date of our birth, which are beacons that show us our full potential in life, school, and work. Every one of us has their special moments in the sun, but to fully seize them we must be able to see the right path at the right time – the kairos – and we must act having faith in the numbers, because they reveal to us when is the time to wait and when is the time to dare. “Your Identity in your Numbers” (2009 – first book). Which number? Which page? Which day? Which year? Which class? Which floor? Which house number? Again, the answer is in the numbers. Numbers are what characterise and distinguish everything: houses, blocks, towns, time, the school and the job sphere, age, our meetings, our important events. Numbers identify us and the world that surrounds us. In our life there are recurring numbers and this is why we often opt for them: we are drawn to them, we like them without knowing why. However, being aware of the reasons why we make apparently inexplicable choices is far better, because being aware means knowing the power of numbers, their identity, their divine essence. By reading these pages, you will learn how to use numbers in your everyday life: from choosing the date of important events, such as a wedding or an employment contract, to your future house or office number. Does our town have an affinity bond with our way of being and our ambitions? Is our home suitable to our personal, sentimental and professional growth? Practical examples of celebrities will provide a frame of reference to understand the affinity with our numbers and life path. It’s all about being open: we should listen to numbers and their powerful message. Rita Maria Faccia has been studying the universe of numbers for years. Numerology is her creed, a divine gift at the service of others. Over time, her numerology studies have allowed her to carefully analyse the bond between personal numbers and those of the place we work or live in. This book aims at passing on her knowledge to each of her readers, because as every number is special and definite, so everyone is unique and one of a kind.